WASHINGTON, D.C. -- In an effort to cut the federal deficit, congress has passed legislation to fund the conversion of the presidential jet fleet to carry paying passengers. Sen. Winston Rellagulia (D - West Virginia) introduced the bill in congress last year, and the U. S. House of Representatives, Committee on Transportation and Infrastructure recommended the deal in the spring. The aircraft, now reserved for use by the administration, will enter charter service in early next year. "It seemed silly and a waste of taxpayers' money," said Rellagulia, who is also a future presidential contender, "to have these assets just sitting around on the tarmac when they could be generating some revenue." The new charter service will be operated under the name Presidential Airlines and be managed by Pace Airlines of Winston-Salem, NC, the same company that operated Hooters Air before that airline withdrew service. In turn, that company is negotiating with agents for Harrison Ford to be the spokesperson for the airline. At a news conference on Capitol Hill, Assia Brumley, the current spokesperson for the newly created U.S. Office of Charter Air Services, told reporters, "We got a special deal on signage, uniforms, glassware, letterhead and a whole mess of other stuff with the logo of Presidential Airlines, a company that went out of business in 1991. This will save us a bundle in start-up costs." Charter fees have yet to be set but will most certainly depend on the particular aircraft used as well the destinations flown. Nevertheless, according to Brumley, a number of well known people have already expressed interest in chartering including Justin Timberlake, Jimmy Swaggart, and Bono. Catering service aboard Presidential Airlines flights is expected to be spartan with passengers receiving a choice of beverages, a pack of presidential pretzels (the small, easily chewed and swallowed kind to prevent choking), and a keepsake paper napkin with an autograph of Davy Jones of the Monkees (a popular 60's band). 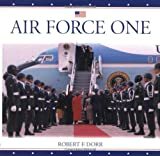 Video entertainment aboard the flights will include a selection of movies including Air Force One, Gigli, and Executives Gone Wild.